We ended up in Barcelona after we were forced to cancel our trip to Punta Cana just a few days before departure as hurricane Maria was due to hit the island. We decided to fly to Madrid instead and visit my mom for a few days before heading to Catalunya and later on to Andorra. Barcelona is one of Spain’s iconic cities and its charm is mostly created by a mix of architecture, parks, food and culture. At the same time, is one of Europe’s most popular travel destination with plenty of things to do and visit. 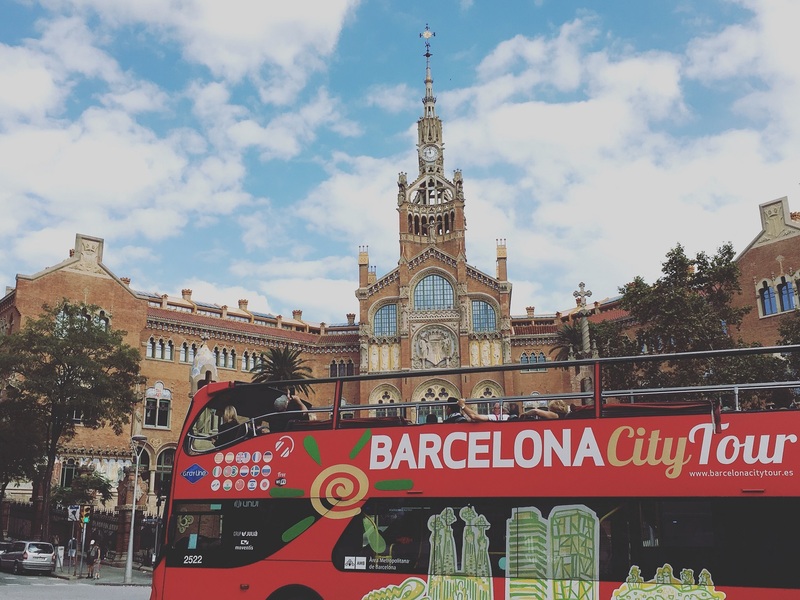 In terms of infrastructure, Barcelona is well connected giving you the possibility to enter the city by plane, train, car or boat. We took the AVE (high-speed train) from Madrid and 3 hours later we were in Barcelona while by car it would have taken us 6 hours at least. If you are on a budget, make sure you book your tickets well in advance as in high season or last minute the prices can rise significantly. Bear in mind that Barcelona is a fairly big city. Although we mostly walked around the city, we also used the metro especially in the evening. You can buy a 10 journeys ticket for only 9.95 euros that can be used by multiple people instead of paying single journeys every time. There are plenty of options within the city from couchsurfing, hostels, airbnb or hotels – the range is very diverse so you can chose the option that suits your needs. We booked an airbnb for 3 nights which was located a few minutes away from Sants train station and multiple metro stations. We were quite lucky to meet up with an old Erasmus friend from France who currently lives here because she took us to certain places that most probably we wouldn’t have found on our own. Most of the time, people chose to visit the touristic places although they become so packed that you can barely move around, not to mention you cannot take a picture without capturing a group of people in it. The best way for us to discover a new place is to stroll around the streets without any set destination. There are so many interesting places off the beaten path that you can discover while wandering around the streets. Gaudi’s masterpiece is an unfinished basilica where construction started in 1882. Despite the fact the place is an active construction zone, it is opened to the public. If you want to visit the towers, bear in mind you can only buy tickets online. Because our trip was last minute, all the tickets were sold out so we couldn’t get tickets for the towers. We did however admired the stunning architecture from outside. There is a next time for everything, right? Güell Park is another of Gaudi’s works situated on the hills towards the north part of the city. You need to buy a ticket to visit Gaudi’s art inside the park or you can visit for free the remaining parts of the park. Again, all the tickets were sold out for the given day so we couldn’t enter but we did enjoy a walk around the free area. There is a viewpoint on top of the hill where you can admire the entire city. If you want, you can have your picnic here and enjoy the view. If you are looking for a good panorama over Barcelona, then we suggest you to visit these abandoned anti-aircraft bunkers situated up the Turo hill. 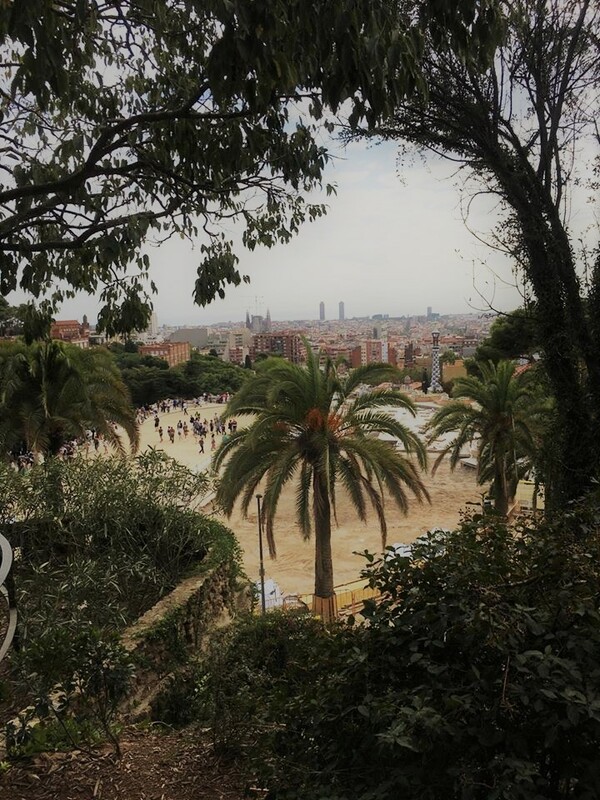 To get here you can take the metro to El Carmel or you can walk from Park Guell like we did. If you want to spice up your evening, bring a bottle of wine and enjoy the sunset from the bunkers. Another masterpiece created by Gaudi is Casa Batlló designed for a wealthy aristocrat, Josep Batlló as an upmarket home. The facade is sprinkled with marine blue, green and mauve tiles but at a first sight, you might think the building is made from bones and skulls while the roof is a colourful dragon skin. This beautiful architecture provides you an insight into the art and mind of this talented artist. Located in the heart of the old city, the Gothic Quarter is famous for its antique buildings, narrow streets, pedestrian areas and hidden squares. 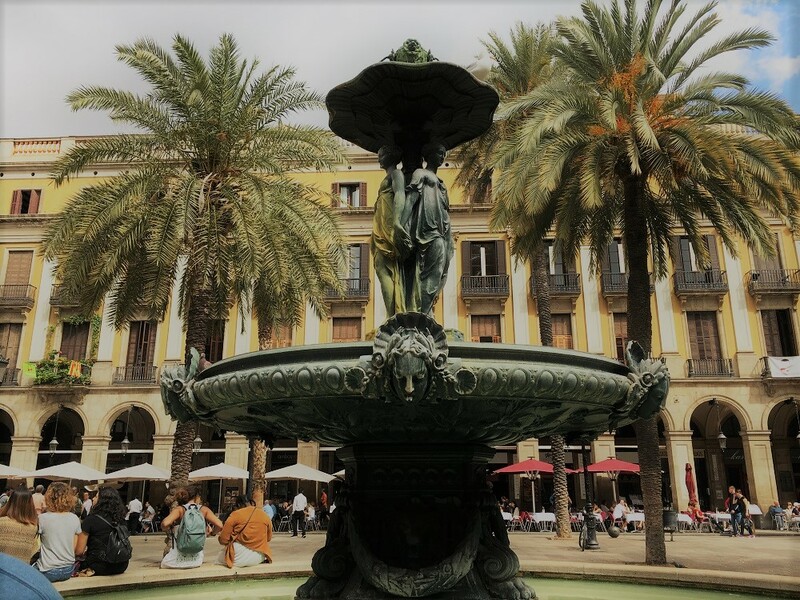 Two of the most visited places in this quarter are the Gothic Cathedral and Plaça Reial. The Royal Square is known for its lively atmosphere and Roman architecture. You can sit down and enjoy a glass of sangria in the square while you can watch the parrots playing in the palm trees. If you have an interest for art, we suggest you spare some hours and visit the museum. Otherwise, you can admire the spectacular view over the city. The building itself is imposing, especially the Oval Hall which is a massive event space. The magic fountains which offers a spectacular sound and light show in the evenings can be seen from the steps in front of the museum. We haven’t watched the fountains but if you plan a visit to Barcelona, you can check the schedule online to make sure you don’t miss it. If you don’t fancy a walk uphill, you can take the teleferic for only 8 euros one way or 12 euros return. The view over the city from the teleferic is worth the money. 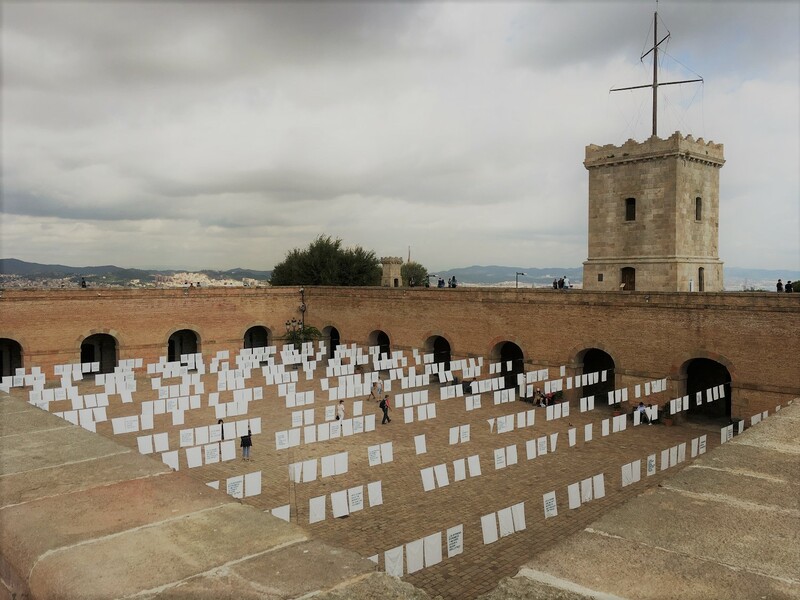 Situated atop the hill, Montjuïc castle which was used as a fortress is now opened for visitors. A ticket for the castle is 6 euros but if you are under 30 you need to pay only 4 euros. 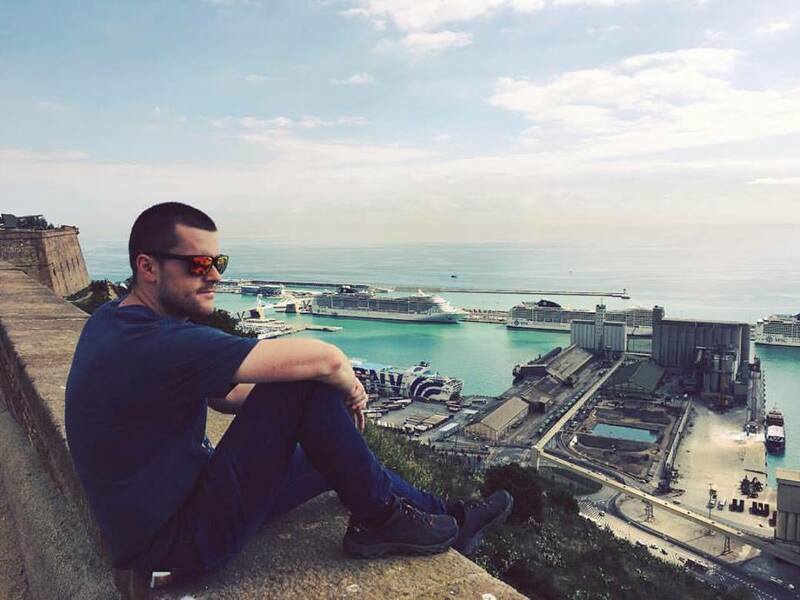 The best part of making the trip here are the views over the port, sea and the city. You cannot visit Barcelona without coming at least once to Barceloneta. No matter the season, this remains a famous spot in the city where people gather around. This area is all about the sea, old fishermen’s houses and noisy restaurants. If you have time, relax on the beach for a few hours, take a bath in the sea or play volleyball on the beach. The best things to eat while in Barcelona are the pinchos and tapas. If you never tried pinchos, they are small pieces of bread with some topping on top held together by a small skewer. At the end, you will get charged for the total number of skewers in your glass – this is given to you at the beginning. We tried different bars for pinchos and all of them were good. For tapas, we recommend Vinitus although you might need to wait in line to get a table. Unfortunately you cannot call for a reservation, they have a waiting list and you need to queue. To be honest, the wait was worth it and we went there for two nights in a row. Here we tried different tapas plates but also it was the first time we tried white sangria. 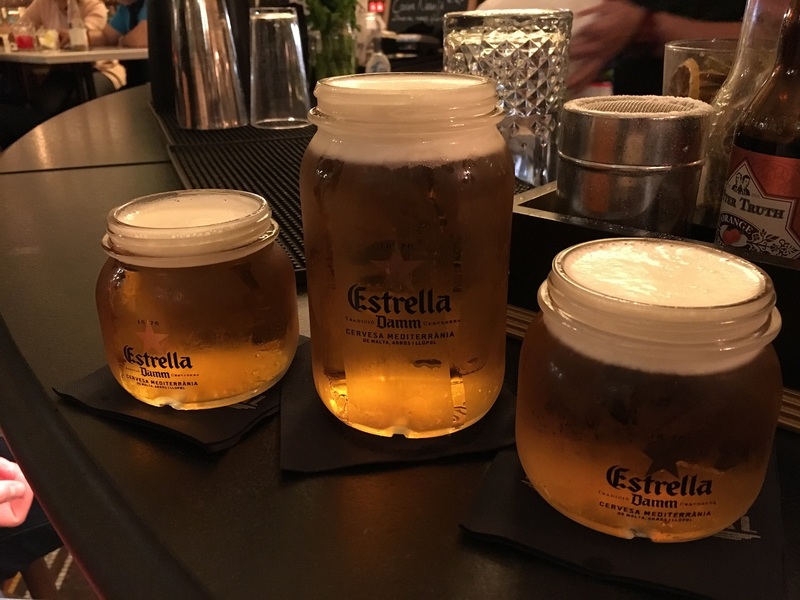 For drinks, you can try different bars but we recommend you try El Nacional which is a multi space restaurant with different areas where you can try traditional food or just sit for a drink. The atmosphere inside is quite pleasant but what really surprised me was the beer glass which I found to be interesting. Book your tickets in advance for Sagrada Familia and Güell Park. If you buy online, tickets are cheaper. Bring sun block and swimsuit and go sunbathing in Barceloneta. Try both white and red sangria while you share some tapas plates with your friends. Stroll around the streets and experience the catalan culture. Beware of pickpockets and tourist scams. I’m glad you guys made it to Vinitus! I think I pretty much half the tapas that were there! DId you also managed to try any of the restaurants in Barceloneta? We tried a few restaurants but to be honest Vinitus was our favourite. The tapas here are really tasty and the atmosphere is nice as well. 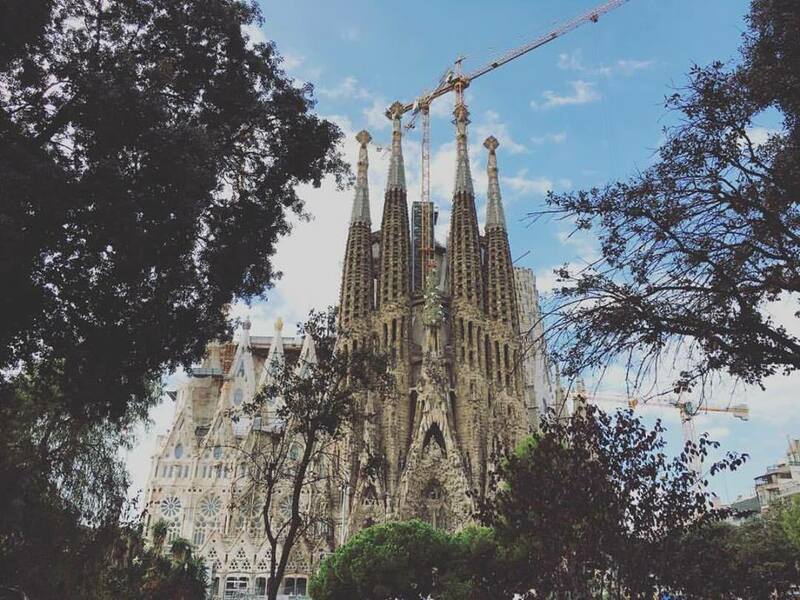 Our recent visit to Antoni Gaudi’s fabulous La Sagrada Familia was our third, and yet again we were in awe! Make sure The Palau de la Música Catalana is on your to-do list next time you visit Barcelona. When we first laid eyes on it, we were mesmerised by its beauty and colour. It’s so good we’ve visited on twice, on different visits to Barcelona. I agree with you, the details of the cathedral are just mind blowing and it’s incredible how Gaudi designed this artwork. Thank you for the recommendations, next time I will add The Palau de la Musica on my list. Well, I was to Barcelona. Few things were new for me, but overall, I think I have seen most of the stuff. I like your pictures, the colors are really nice. And good overview for someone going there for first time, well done. Hi Alexander, glad you liked the pictures, all of them are taken with my phone. We tried to make the most out of our first visit to Barcelona. 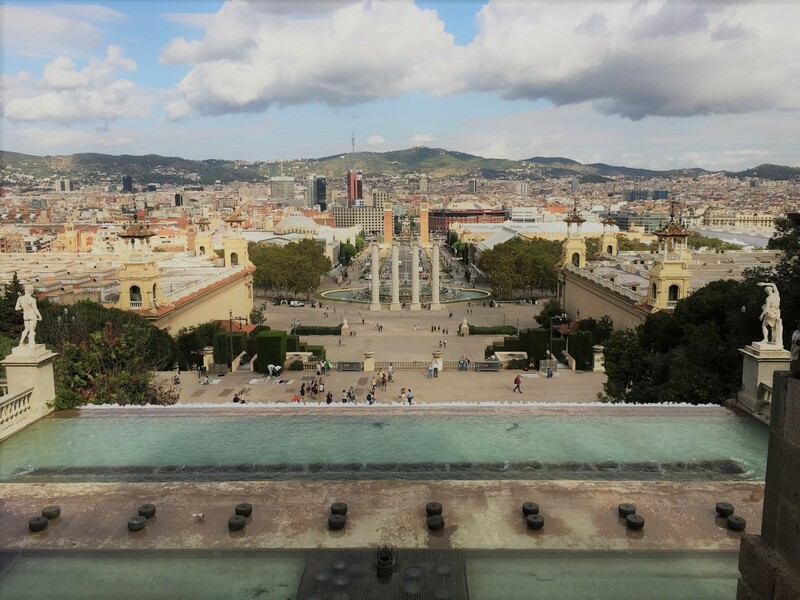 Barcelona really lives up to its name as the one of the best european cities to visit. I missed my chance when i was in Paris. Shouldve book a flight to Barcelona. Anyways, posts like this make me want to go soon! Hi Jen, I’ve been trying for so long to go there but somehow I always picked another destination. Glad I finally make it because as you mentioned, Barcelona really lives up to its name. We’ve been to Barcelona before but these are great tips. I would like to see the “BUNKERS OF CARMEL” next time as that is a fantastic view there. It sounds like your time there was well spent. Glad you find our post useful, you should definitely go to the bunkers next time – the view is spectacular. We did try to make the most out of our time spent here. Barcelona is worth a visit. There is souvh to explore in the city. I like the Gothic Quater, its so beautiful. Also, I like the architectural view at Casa Batlo.I like that the city of Barcelona can satisfy my ART hunger with its National Museum of Art. Hi Lydia, if you like art then Barcelona is the right place to be. The Gothic quarter with its architecture and narrow streets is a nice place to stroll around without a set destination. I would love to visit Barcelona! Love the money saving tips in this post especially about how to save on tickets to key sites. 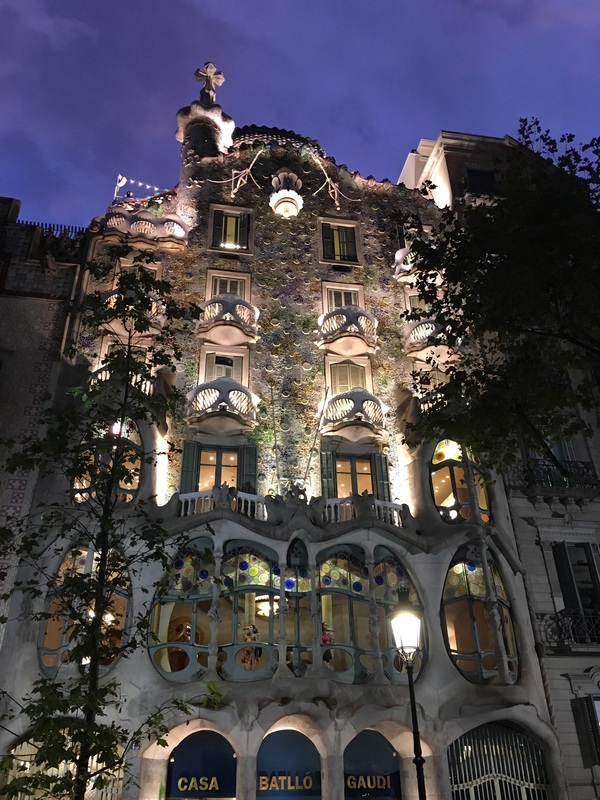 Can’t miss important Gaudi spots while in barcelona! Meghan, I am sure you will love Barcelona. Yes, you can save a few euros per ticket if you buy it online so if you are on a budget this tip can come in handy. For sure next time I will not miss Gaudi’s creations and I will buy my tickets in advance. Neha don’t worry, we live in Europe and this was our first time in Barcelona. There are so many beautiful places all over Europe and it’s hard to pick when you are limited on time. Hope you will get to Barcelona in your next Europe trip. Barcelona is one of those cities I really want to visit, but we always end up going somewhere else. Your pictures really make me want to plan a trip soon! This was our issue as well, if it wasn’t for the hurricane we wouldn’t have visited Barcelona now. Glad you like the pictures, the city is gorgeous. Barcelona is one those iconic cities that I really want to visit sooner or later. Like few others in Spain. I’ve read so many great posts about this city, and seen so many pictures of very cool buildings and churches. I also love Spanish food. The Roman buildings and gothic churches are just a small part of what Barcelona has to offer. Although we’ve been so many times in Spain, this was our first time in Barcelona. Spanish food is always delicious. I’ve been wanting to explore this city forever – so much to see and such great food. Might have to add it on my 2018 list. 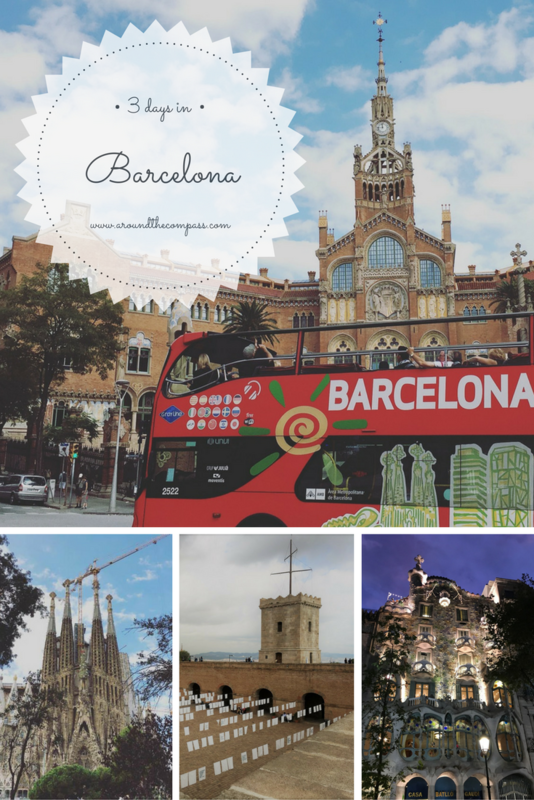 You should definitely add it on your list for next year, there are so many things to do in Barcelona. Not to mention all the Spanish food that you can find all over the city. I’ve been dying to visit and your recommendations seriously compel me to book a flight there. The view at Montjuic Hill especially looks stunning and I’ll for sure check out the schedule for the fountain too. Great tips! 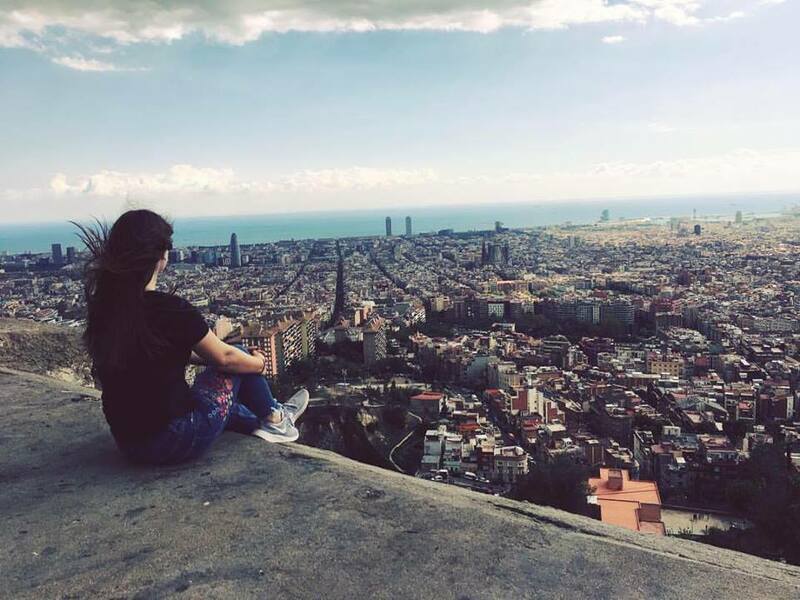 Hi Jas, I hope you will get the chance to visit Barcelona soon – you will love it.